“Was my man to leave? In the heat of battle? No, he did not leave. He fought with bravery and gallant-ly… ness.” From ‘One Seriously Messed-Up Week-End…’ available now in all good bookshops (and some crap ones too) and also in e-book-selling places. 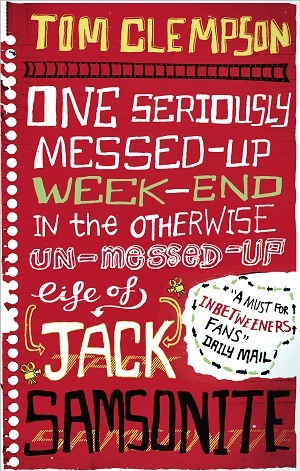 “Just when I thought I was ready to back away from the whole situation, an entire bare bottom revealed itself from behind the wall.” From ‘One Seriously Messed-Up Week-End…’ published TOMORROW! “Jack Samsonite’s Personal Statement: Attempt No.19 My Name is Jack Samsonite. I sniff balls. 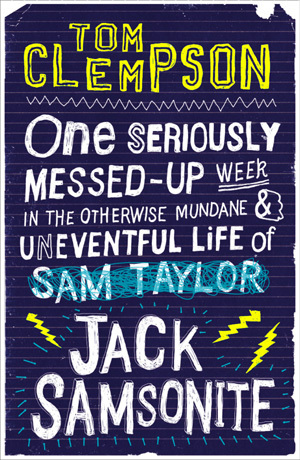 Give me a scholarship.” From ‘One Seriously Messed-Up Week-End…’ published TODAY!